New clinical studies on whiplash injury reveal that many problems develop years after the trauma. Neck sprain is not as simple a problem as an ankle sprain, because the neck region is associated with many other functions than movement. One of these is maintaining equilibrium and a straight posture. Equilibrium is a complex function involving neurological signals from the semi circular canals located within the inner ear, eye movement and the neck, the spine and the legs. The nerves in the neck are especially important for the balance and equilibrium function, because it is through them that the brain receives sensations from the inner ears, eyes and neck, allowing it to determine your exact position in space (equilibrium). If the impulses from any of these three areas have been disturbed, equilibrium will be compromised. A European study (Coll Antropol 2007;31:823/ observed the mechanism involved with the head position following a whiplash injury. The scientists compared victims of whiplash with a controlled group to determine how the two groups interpreted the position of the head, and movements such as rotation or bending. The results were alarming. The whiplash group demonstrated significant proprioceptive deficiency (position sense). Chiropractic care has the potential to normalise the joint function in the neck. The adjustments of the neck restore mobility and improve neck posture in order to stabilise equilibrium. Some patients may require specific neck stretching exercises to provide a better head stability and improve agility. If you are unstable while walking, it might be from a previous head and neck trauma. Neurological symptoms affecting brain and neck functions can have serious consequences following these traumas. It is very important to maintain normal neck mobility in order to reduce equilibrium and balance problems and improving the quality of your life. 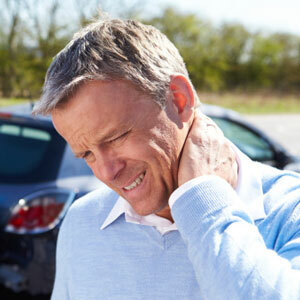 Call Dr Beaudry at (514) 694-0303 and discover the new approach for whiplash syndrome. It is imperative to determine the position of the neck with necessary x-ray (if necessary), to evaluate the severity of the problem.